Ashton-under-Lyne Market Square is due for major redevelopment in the next few years. This is the latest news from Tameside MBC. PLANS to transform Ashton’s market square into a modern and vibrant area have been given the go ahead by Tameside Council. The redevelopment – which follows extensive consultation with traders, shoppers and residents – will see the introduction of new stalls and kiosks, high quality landscaping and trees, performance and seating areas, as well as new street furniture and lighting. Not only will this project provide a new, modern market for traders and shoppers but will also complement the ambitious multi-million pound Vision Tameside masterplan, which will see a major influx of students and teaching staff to the town centre at the end of 2015. Trader Kim Wright, from Mr Spuds and the children’s rides, said: “We are very excited about the plans. Throughout our 20-plus years of trading on Ashton Market it has always been a great place to shop. Malcolm Marsden, who sells bedding, added: “As someone whose family have been trading here since the 1950s, I am pleased that Tameside Council has approved plans for the redevelopment. “I am looking forward to a bright future and many more years trading on Ashton Market”. This dramatic increase in the number of people working and studying in the heart of Ashton will provide a major boost to the market, shops and retailers, and will help to attract new investment and businesses to the town and the wider Tameside area. Despite Ashton having one of the busiest town centres in Greater Manchester, it is important that the market square is developed and modernised to make sure it meets everybody’s needs. Recent reports have highlighted that Ashton is under threat in terms of online retailing and changing consumer habits, so it is essential investment takes place to ensure it can continue to compete with neighbouring towns, and securing its position as one of the busiest and most popular markets in the North West. The redevelopment plans are about than the way the square looks. Taking on board feedback from the Ashton Market consultation, the markets team is developing a range of initiatives to help attract new traders. The aim is to ensure there is a greater choice of goods on offer which will appeal to more shoppers. Cllr Bill Fairfoull, chair of Ashton Town Team, said: “Ashton Market Square holds a special place in the hearts of the public and traders alike. Both the indoor and outdoor markets offer great choice, high quality and value for money, but we are also looking to improve the area for the future while ensuring we retain its charm and appeal. Work will start early in the new year and be complete before Christmas, 2015. It will be done in phases to ensure the market remains open for business. This entry was posted in Ashton-under-Lyne Blog on August 31, 2014 by rogerfarnworth. The link below is to an article which was on the front page of the Saturday Guardian (30th August 2014) in the wake of the news coming out of Rotherham during August 2014. Ruzwana’s family was trapped in a culture of honour and shame. And the small community to which they belonged was also trapped in a dynamic which forced them to shun the person/people who had brought abuse to the surface. That honour/shame dynamic focussed blame not on the perpetrator of abuse but on the one abused. Ruzwana says taboos must be challenged, and in this particular context that seems to be painfully obvious. We need, however, to be very careful not to identify this kind of problem solely with cultures that tend to have strong honour/shame value systems. The dynamic also exists in other communities. Very few of us like to see the status-quo challenged or disturbed. We have a natural tendency to want to hide difficult issues away. Often it is the whistle-blower, or the one to brings an issue to the surface, that is seen as in the wrong, rather than the one who committed the abuse (or the wrong) which has been uncovered. We see this tendency in large bureaucracies and in small communities. Very few areas of society are immune. While it is true that traditional conservative communities are likely to behave in this way and it is true that these communities have to find ways to address the desire to avoid shame. This is true too for much of society: shame is a factor that we all need to understand, and when it demands that we cover up things that are wrong, it must be addressed. This entry was posted in Comment, Shame, Grace, and the Cross on August 31, 2014 by rogerfarnworth. There is a lot going on in and around Ashton Town Centre! The two projects are now moving forward. Work at the BT roundabout has progressed significantly. Work at the ASDA roundabout is in its preliminary stages. Updates can be found on this link and come out approximately weekly. The page also includes links to .pdf files showing the plans in some details – see the two links towards the bottom of the web page. Preliminary works are now underway on Camp Street Car Park and the Main contractor will start work in September. The College needs to be in and using the building by September 2015. The project is a joint venture with Tameside Metropolitan Borough Council and has recently (24th July) received further financial backing through the Greater Manchester Growth Deal. 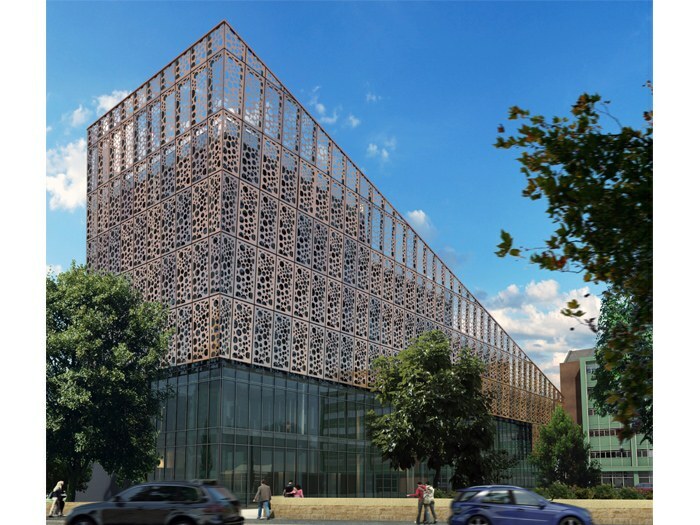 The Growth Deal is worth almost £7m towards the College’s three-phase development plan. The funding supports the development of the Advanced Skills Centre in Ashton Town Centre, in partnership with Tameside Metropolitan Borough Council, and phase 3, the redevelopment of the Beaufort Road campus. It will provide funding for specialist advanced equipment for the new Advanced Engineering Centre which completes in September 2015. Alongside the Town Centre building, Tameside College will be building an Advanced Technologies Centre on the Beaufort Road campus. 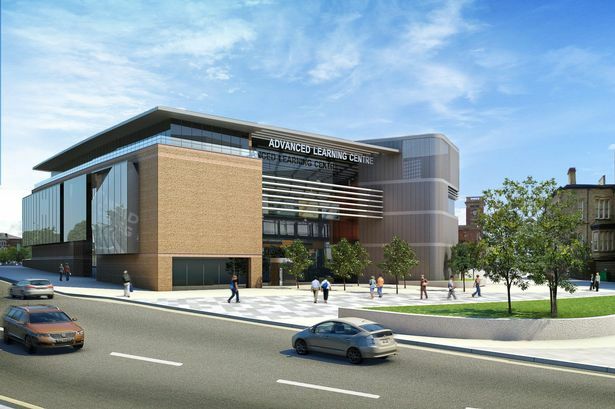 The second phase will see the opening of the Advanced Skills Centre and Joint Service Centre (below), which will be shared with Tameside College, Wilkinson and Tameside MBC, on the site of the present TAC building (Tameside Council Offices). Originally, Tameside MBC had plans to move to a newly built cheaper building off Old Cross Street. Spending £13 million on the present proposal creates an integrated plan for the redevelopment of the town centre and will save approximately £1.5 million/annum in running costs. As part of Tameside College’s VisionTameside, Phase 3, the Beaufort Road campus will be refurbished and upgraded. Transport for Greater Manchester will be building a new Transport Interchange on the north side of the Arcades Shopping Centre. Design work will start at the beginning of the new financial year. Could it look like the new interchange in Rochdale? This entry was posted in Ashton-under-Lyne Blog on August 29, 2014 by rogerfarnworth. Faith that sustains in the darkest night! In the 1990s I had a friend, Graham Turnbull, who gave up a safe job in the UK because he was sure God was calling him to Rwanda. After teaching there for a short while during the immediate aftermath of the genocide, he sensed God calling him to work for the UN as an observer. His friends and family also saw this as God’s call. After Graham had been some weeks working in Rwanda and Burundi, I heard a BBC report of the death of UN observers, ambushed and killed. Graham was one of them. People like Graham and like James Foley are modern martyrs – people who have sought to bring peace and hope, or to raise awareness. People who have seen the light of God and have chosen to follow that light wherever it leads. While they have not sought death, they have seen the goodness and justice of particular actions and have undertaken them even at risk to their own lives. They call us to greater efforts for peace, justice, honesty, openness. This entry was posted in Comment on August 21, 2014 by rogerfarnworth. I’ve been deeply impressed over recent years by the careful thought that a number of people such as Steve Chalke have given to how we listen to God speak through the Bible. It is so easy to read the scriptures and have our existing positions strengthened rather than allow scripture to speak clearly to us. I continue to feel a tension between different passages in scripture. It seems to me that the more I listen to scripture, and the more I listen to others, there is no clear scriptural position on matters of sexuality. Clearly worded proof texts do little to help as they seem to me to speak contrary to other clear scriptural statements. It seems to me that many of the texts that are relied on to support traditional positions on sexuality do not carry the strength of certainty and gravitas that many commentators suggest they do. We are always left uncertain of the social context into which those texts spoke and we cannot be clear what was being addressed by the original authors. Almost inevitably we hear our own ideas and values reflected in scripture. However, those passages exist and are part of God’s word and we need to listen to them. On the other hand we have some amazing passages in scripture which affirm that we are all created in the image of God. These passages assure me that God’s love reaches out to all of us. I am also sure that he affirms who we are as his children, created in his image, carefully and wonderfully formed in the wombs of our mothers. Our status before God is determined not by our correct theology, nor by our obedience to God’s rules, but ultimately, primarily and only by the strength of God’s love for us. 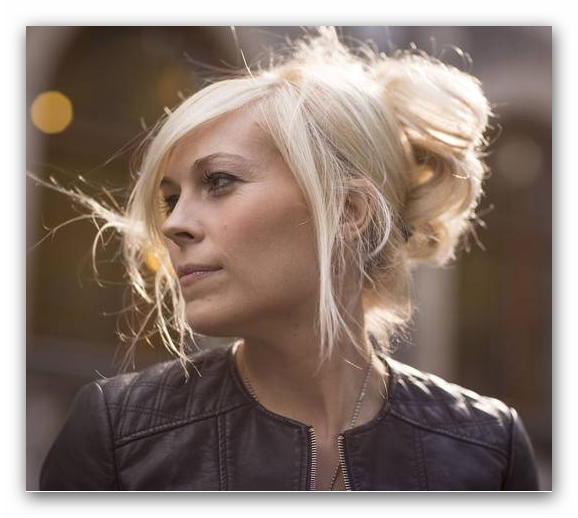 I listen to the personal testimony of people like Vicky Beeching I am challenged about where I stand in the debate not so much on an intellectual level, nor on a theological level, but most of all on a pastoral level. Vicky has courageously put her income at risk as a Gospel Singer in the States by coming out as gay. This for her and many others is not just a theological issue, not an intellectual issue, but an overwhelmingly personal issue. It is about who she is. I am still a ‘fence-sitter’ as far as theology is concerned. I am, however, very clear about the pastoral issues and the acceptance God offers to us all regardless of sexuality, and perhaps, since our sexuality is so integral to who we are, because of our sexuality. I know that God does not condemn us for who we are, rather he reaches out to all of us in love. This entry was posted in Comment on August 18, 2014 by rogerfarnworth. It has been so difficult, hearing about the difficulties that Yasidis and Christians are facing in Iraq at the moment – the deaths of so many under persecution. Churches around the world are uniting in prayer for peace and for restoration, deeply concerned for those families affected by persecution. It also seems as though the Christian faith is in retreat, no longer present in cities controlled by IS (Islamic State). Daily prayer for my wife Jo and I has recently been based on the Northumbrian Office ‘Celtic Daily Prayer’. During August we have been thinking about St. Columba and his ministry on Iona and to the Picts across Scotland. Like so many of us, I have been struggling with what has been happening to all minorities in the areas of Iraq controlled by IS and perhaps most of all to the large numbers of Christians who have had to leave their homes and who cannot see anyway open to them of returning. All they can see now is a hostile Sunni Muslim population around them in the places they called home, rather than neighbours with whom, until recently, they happily shared their lives. These Christian people have been part of faith communities that have been in cities in Northern Iraq since before Islam was founded. I have been wondering this week whether this experience is in fact similar to that of many different peoples, Christian or not, over the centuries. Hearing Fiona Macleod’s words left me thinking of Europe at the end of the Roman Era. As Roman civilisation was pushed out of the countries of Northern Europe including England, the Christian faith also retreated. The land was taken by groups of people, probably our forebears, whose faith was pagan. 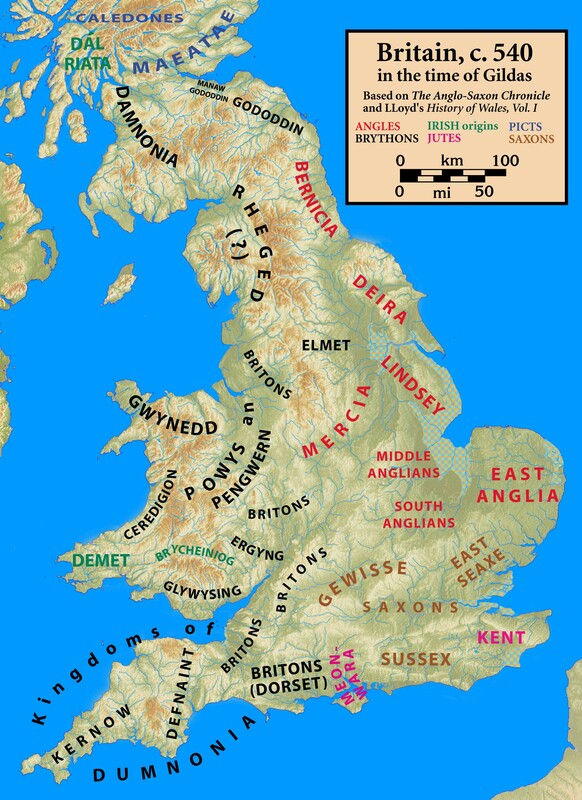 In our islands, Christianity retreated to the fringes of Wales and Ireland; and during the Dark Ages, Christian faith was kept alive by small communities around the Western Coast. If people had been able, in those days, to see what was happening across Europe. It would have seemed to be all encompassing. The Christian faith was pushed out and remained invisible, or non-existent, for generations. Over time, faithful missionaries, at first from Ireland, began once again to share the faith with those in England and across northern Europe. 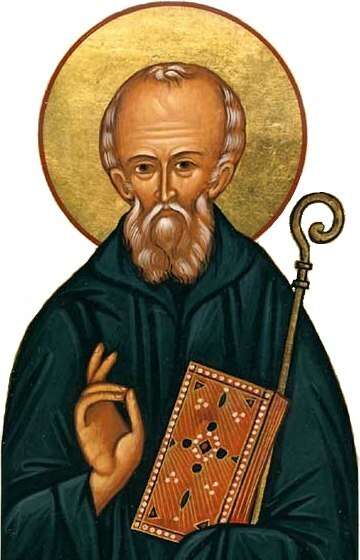 St. Columba was one, and he founded Iona. As time passed, other Celtic Saints travelling out from Iona, drew many back to faith in Christ as they traversed the land setting up small monastic houses. As the light of Christ seems to be going out in significant parts of Iraq at the moment, and as increased secularism dominates in many countries of the West, where is the light of Christ being faithful kept alive in the world today? What different forms does that Christian faith take? Where will those new Christian missionaries come from? We have to believe that this is in God’s hands. Much as we in England and Scotland saw revival first through Celtic missionaries before Augustine’s own mission in the south took root, so we can trust that God will prepare messengers of the Gospel for the future. They will be messengers who will once again bring the light of Christ into lands where that light seems only to flicker feebly or indeed even to have been extinguished. This entry was posted in Comment on August 17, 2014 by rogerfarnworth.